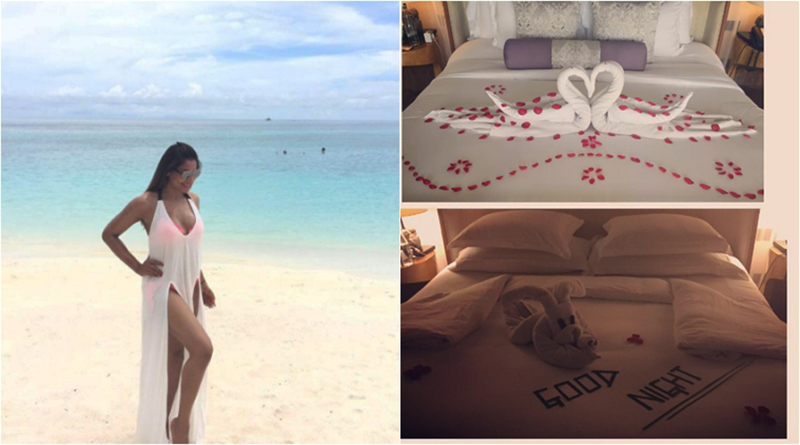 Bipasha Basu and Karan Singh Grover are honeymooning in style ! Are we the only ones who are totally obsessed with Bipasha Basu’s wedding glam? I mean can we just take a moment here and go to her instagram to appreciate how totally fitting this duo is (hot couple alert) !! 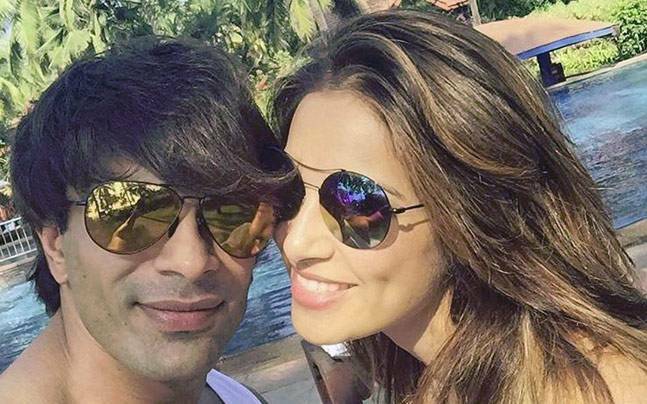 Are we the only ones who are totally obsessed with Bipasha Basu’s wedding glam? I mean can we just take a moment here and go to her instagram to appreciate how totally fitting this duo is (hot couple alert)!! 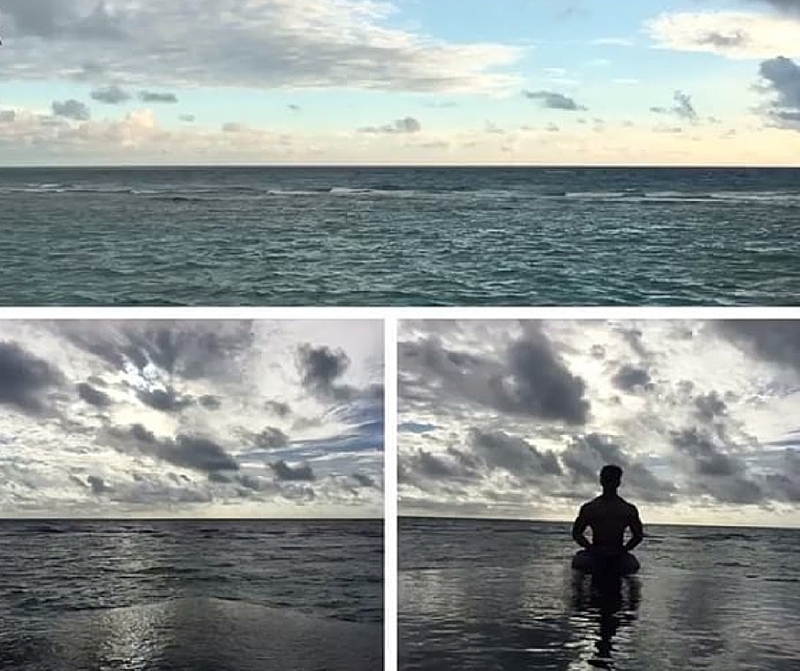 Well Karan Singh Grover and Bipasha Basu might be bollywood’s latest obsession with their beautiful big fat Indian wedding ending on a high. This Bollywood diva is our #fitspiration, with her killer workout videos, amazing movies not forgetting her heart stopping dance moves, this girl certainly have won our hearts…. Take a look at the ﻿Breathtaking Honeymoon Water Villa at Jumeriah Vittaveli Maldives﻿ they are staying at ! Ok so since we are obsessing over her right now, are you curious to know where she and her new hot husband are honeymooning? Maldives of course!! 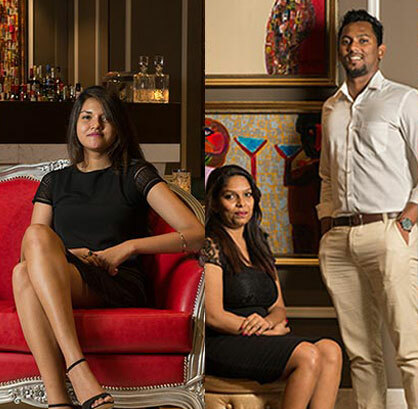 They have chosen the Jumeirah Vittaveli to kick off their new life in style. 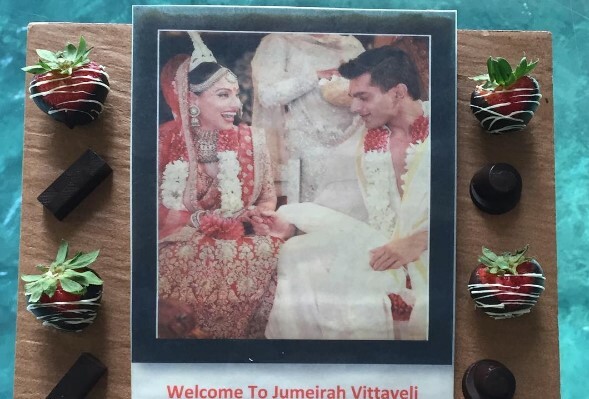 Her latest instagram post shows a welcome cake presented by the team at Jumeirah Vittaveli with their pictures iced on the cake. Yes it’s gorgeous!! 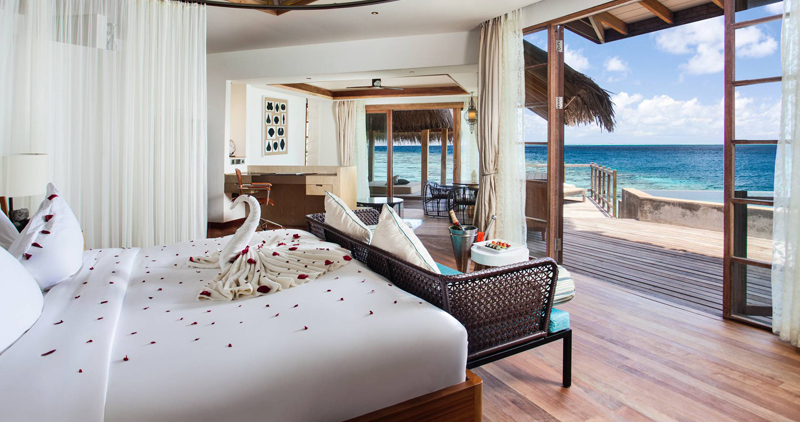 We are excited to know how they will spend the rest of their days dipping toes in the sand and indulging in all things luxurious at the beautiful Jumeirah Vittaveli. Maybe a couple’s spa experience is in their itinerary? Well whatever they decide to do, we can be certain of one thing, they have chosen well with their resort. 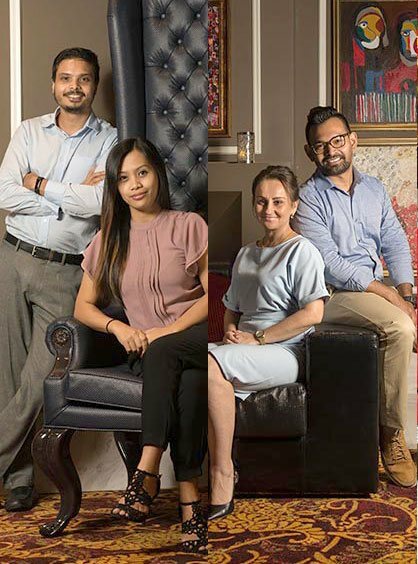 So we hear from the grapevine that they are all cocooned up in a water villa with a private pool and a stunning view of the sunset and the ocean. Ah holiday goals right? Who wouldn’t want to celebrate the beginning of a beautiful new life in the gorgeous tropics where life is much brighter and sunnier ? 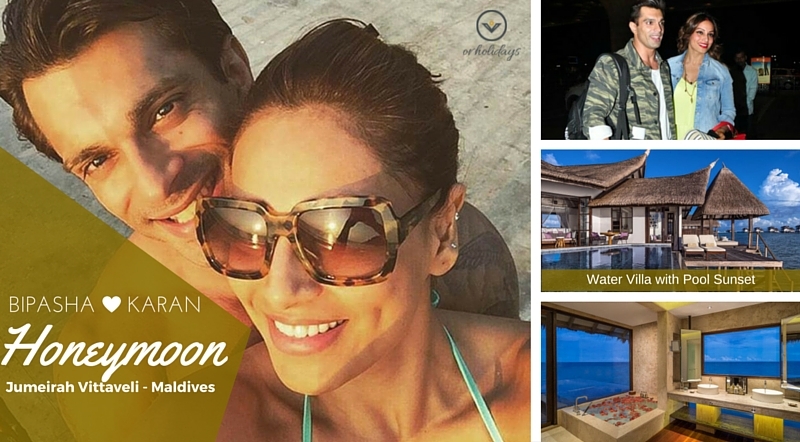 We think that it was a fantastic choice she and Karan made to spend their honeymoon at the exquisite Jumeirah Vittaveli and we secretly hope that we get to spend our next holiday over there as well (wink!). We wish them both a happy and a beautiful life together !